Well, after a very productive month in our Undisclosed Location, Justine and I have both finished our next books! Much wooting occurred. Of course, there’s still all the rewriting, editing, cover designing, catalog printing, marketing and selling into stores that has to happen. All of which means these books won’t be published until, oh, about a year from now. In the meantime, I can get back to blogging a bit more often. Thank you all for your patience during crunch time! Sorry to have been away. I really like this cover. It’s sort of like a graphic novel, with plenty of peeps-like images. 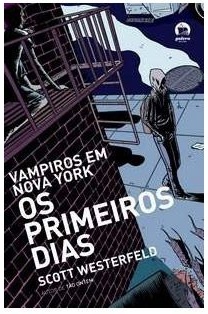 As you can see, the title is Os Primeiros Dias, or “The First Days.” I guess “peeps” didn’t translate into Portuguese, so the publishers thought it would be cool to set up the sequel, The Last Days. I wish I’d thought of that. Well, except that when I was working on Peeps, I didn’t realize I was going to write a sequel. And if you’re a Peeps fan, you totally have to read this article in the NY Times. It’s about a scientist who infects his patients with hookworms (as in Chapter 5, aka “Bahamalama-Dingdongs”) . . . on purpose! So here’s the story: David Pritchard, the scientist in the article, noticed that people in Papua New Guinea who were infected with hookworms were less likely to suffer from asthma and hay fever. Now, this was nothing new. As I point out a few times in Peeps, parasites are so intertwined with humans that we can get sick when we don’t have them around. Basically, your immune system has evolved to deal with lots of parasites—our ancestors lived in a very dirty world compared to us. But these days, people in industrial societies have hardly any parasites, so our immune system gets bored and starts making trouble. Sort of like a third-world army with no enemies to fight, it starts trying to take over the government. Allergies, asthma, Crohn’s disease, and other auto-immune issues may be related to people being too darn clean! Dr. Pritchard wondered if hookworms were suppressing the Panuan’s immune system, and helping them escape hay fever. So, in the proud tradition of mad scientists everywhere, he used himself as a subject. That’s right, he infected himself with hookworms, which sounds . . . itchy. He has since expanded to larger human trials, and so far the treatment seems to work well on allergy sufferers. Maybe one day it can be used for more serious conditions, like Crohn’s Disease. i dont care what it does, i do not want a hookworm!!! the cover looks like a bomb comic book! weird infecting people for a purpose t stop getting infected with something worst, kinda like chicken pox and small poxs. all around WOOT! Hmmm… hookworms are interesting. Who knew worms could actually HELP people? I’m trying to get my hands on Peeps, but libraries are turning against me lately… Anyone here read The Dark Hills Devide? it’s the next series I’m reading, I’ve got the first book in my rooma dn i’ll start it when I finish the book I’m currently reading, TimeCat… which is a bit boring and elementary. Anyway, let me know if anyone liked it! First- book writing/editing/designing should be faster. That’s kind of depressing that the book probably won’t come out for another year or so. But getting it finished is always a step in the right direction! I’m not sure how I would feel about purposely infectiong myself with hookworms. Luckily my allergies aren’t bad enough for me to have to find out. But it’s still an interesting thought. It makes you wonder what kind of medical discoveries they’ll make next. That is totally gross and not the first thing I wanted to read in the morning. ew, the worms were kinda strange. but congrats on finishing your book (so far)!!!! Congrats on the finished manuscript! I’m sure it will be completely wonderful and deffinitely a must-read when it hits the shelves. I can’t wait! i start school a week from yesterday….sigh. double sigh. i still haven’t finished my summer reading…..//rolls eyes// i hate summer reading! i like reading for fun, not otherwise. plus all of the books were like, i woulda enjoyed three or four years ago, not now. sigh. what is this world coming to?!?!? haha! yeah peeppsss is my faavvvvoooooorttttttteeeeeeeee!!!!!! the cover is cooool but i like the one i have better…theres like three different ones …i have the one with the eye, lol it scares all my friends. and thats gross but cool about the hookworms,,must be a painful injection though. and YAY FOR BOGUS TTO BUBBLLLLYYYY and congrats about the finsihing book thing. cant wait till next year! I really don’t know if I could convince myself that it’s okay to inject hookworms into people. I am so excited for bogus to bubbly and Leviathan!!!!! cant wait! …Gross but interesting at the same time. YAY!!! I do hope the year goes by fast. I’m reading Uglies (again) for lack of newer material. It’s still just as good the third time though. I can’t wait for Bogus to Bubbly too. That cover is fawesome. And that story is kind of gross, but still…… a cure for allergies? Sounds too good to be true. If that guy could perfect this (as in, no unpredicted side effects) I might be able to fulfill my dreams of having a cat when I grow up (I’m allergic to about everything with fur, plus I have hay fever.) Wow…. Ew… thats nasty. I would rather live with the symptoms! WOOT for the new books! I’m glad that’s not me! I’m so glad you’re blogging again! YOU HAVE THE BEST BLOG EVER! haha no, but really it’s the most interesting always! Who designs the covers for your books? It just seems so fun! Oh My GOSH. LEVIATHAN. YES!!!!!!! I can NOT wait! Oh wow, I’m gonna go insane! YAY SCOTT! YAY JUSTINE! YAY!!!!!!!!!!!!!!!!!!!!!!!!!!!!!!!!!!!!!!!!! I’m like so happy now. You totally made my day! And……..fawesome cover for peeps! And dude, props for universal mad scientists,lol. Brilliant. I wonder what other kind of unconventional cures are the result of parasites. Maybe scientists can refine what the hookworms do and make it more safe? CONGRATULATIONS ON FINISHING LEVIATHAN, SCOTT-SAMA! I’m super excited for it and “Bogus to Bubbly.” EEEEE! Ych, speaking of which, I am suffering from MAJOR hay fever at the moment. My mom is at the drug store getting me some Claritin as we speak. Maybe I should just swallow some hookworms instead! woah. that’s weird. i might read peeps. even though it’s a vampire book. *sigh* yay for leviathan! i’m kinda not excited for bogus to bubbly yet, though. i like leaving some things up to interpretation. I like how scott[westerfeld] (its weird not saying his last name) up-dates his blog as much as he can. **Certain** authors don’t do that. Or they have their brothers do it….which is angry-making. Anyone read The Dark Hills Divide series? Still. Congratulations on finishing the book! Woot indeed. Also, that is a very awesome cover of awesome. And an interesting title thing. And yeah…parasites…I actually have a nearly phobic freakout about parasites (this comes from parents influenced by scientist grandparents talking about worms boring out through your eyes EEEEEEEEEEEWWWWWW cringe). Which does not explain at all why Peeps and TLD are two of my very favorite books. Guess that’s a compliment to your writing. The worm thing is down right creepy, though. Glad I don’t have any alergies or suffer from hay fever (knock on wood). But, hey, if it works it works. people in Brazil speak Portuguese, not Brazilian. Hahahaha. For some reason, my brain seems to stop working when I comment on here. But still! It should be in Brazilian! I should come up with a language, name it Brazilian, and get the book published in it! Although I am WOOOOOTing about the Levianth accoplishment, I think Scott-la is overestimating our patience. Does he honestly think that Bogus to Bubbly will keep us occupied for a whole YEAR?! I have a way shorter attention span than–hey, look a penny! Lol. But seriously, I’ll finish that book in a week maxiumum. I usually would not even say that long, but who knows how much home work I’ll get? And yeah, that does look really graphic novel-ish. (I love ‘ish’. It’s the best adjective, haha.) I don’t ‘The First Days’ would suite the story of Peeps. If it weren’t for the cover photo, people would think it was about the prehistoric times of something. (Than again, it did talk a lot about revolution….) I’m pretty darn happy that I wasn’t one of the gunei pigs for that experiment. Well, they didn’t *really* do it on gunei pigs, of course. That’d be just cruel. No hook worms for me! I can’t imagine myself with hook worms though there are parasites in my human body (I suppose). I prefer not knowing about it. UGH. Nice cover! Very different from the original but still cool! No worms for me either…. unless they will help me. Just something about having worms inside of me that creeps me out. i think that’s soooo true! back then like…maybe…thousands of years ago, humans did not have soap and baby wipes! and what they probably did use was running water like in a stream or a river to clean themselves. soo… their immune system was soo much stronger compared to ours because they were faced with so much more bacteria and viruses and would get sick, but the result would be, that they were IMMUNE to it! So i do agree that sometimes we can be TOO clean. Yay! Your finished with the rough copy thing of Leviathan! I’m not to sure I would apreciate having hookworms in me, especially because I don’t have allergies or asthma, and I wouldn’t like getting hurt. That is a preetty fool cover for “The First Days”. EVen though I do agree with, someone don’t remember name, about that sounding lke a dinosaur book name. 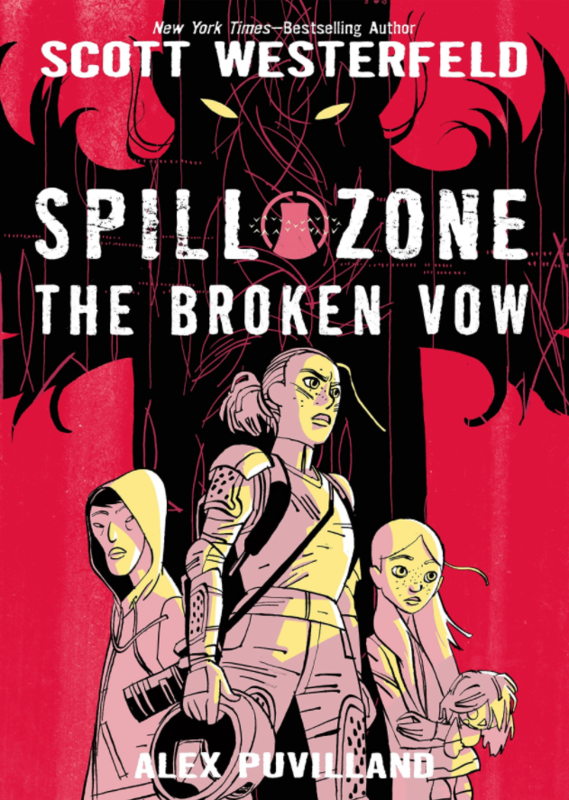 The cover looks pretty skate also, and it would be oh so Fawesome if Scott-sama made a comic book. Congrats on finishing Leviathan! Fawesome cover for Peeps (I should check that book out). And ew on the hookworms XP. That’s just…… gross. Even if it does help against allergies and stuff, I wouldn’t want one; it’d just make me feel icky inside. Glad I don’t suffer from allergies. They told me I was crazy. Tsk tsk. Hookworms sound…painful. And, uh, I’m not sure I would want to be inserted with worms with the research of just one scientist. I still don’t know where that phrase came from. Must go search Wikipedia…it’ll pass the time, helping my procrastinate further on studying for that geometry quiz. There goes the time. Zoom. it is physics and chem.